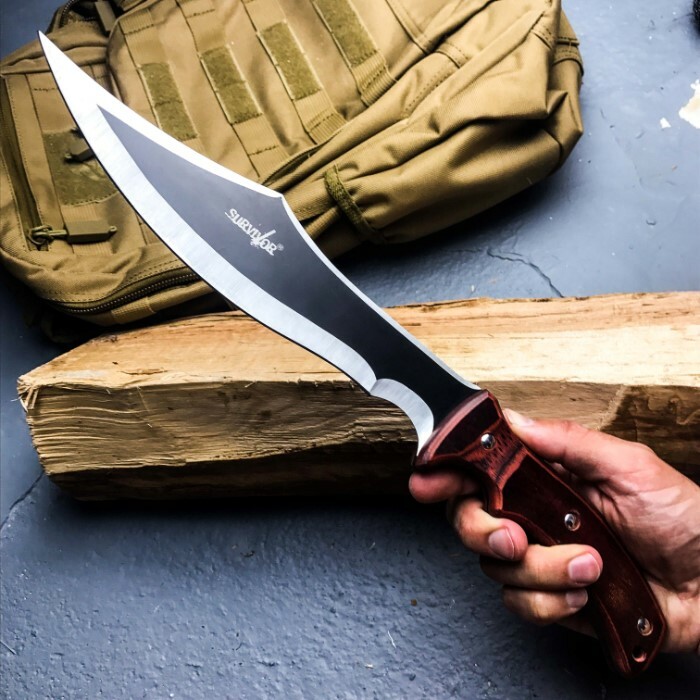 Master Cutlery Survivor Fixed Blade Knife With Sheath - 3Cr13 Stainless Steel Full-Tang Blade, Pakkawood Handle - Length 15" | BUDK.com - Knives & Swords At The Lowest Prices! 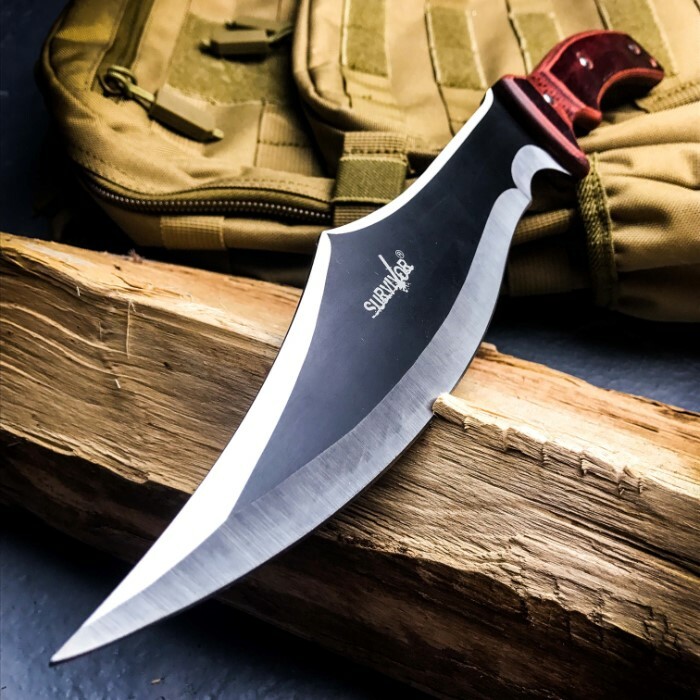 Master Cutlery Survivor Fixed Blade Knife With Sheath - 3Cr13 Stainless Steel Full-Tang Blade, Pakkawood Handle - Length 15"
The Survivor Fixed Blade by Master Cutlery is a brute force in the wild! 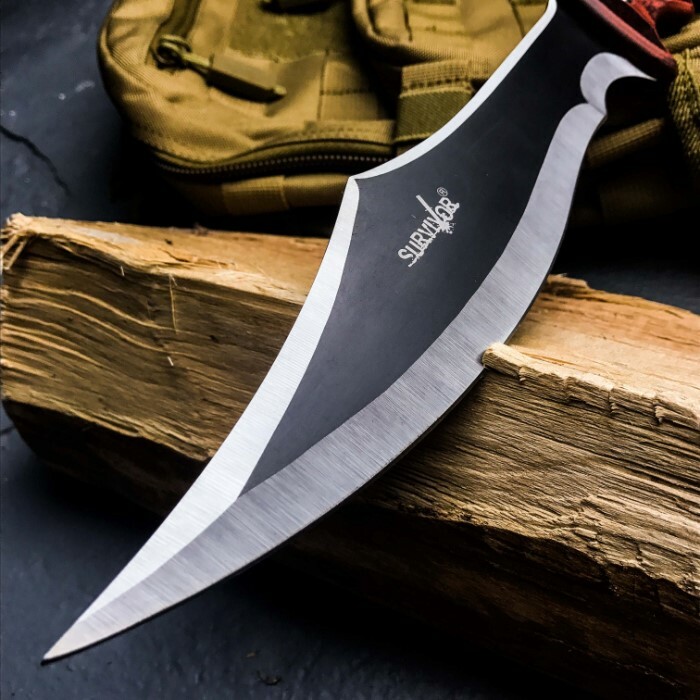 It has a keenly sharp 9 1/2" 3Cr13 stainless steel, full-tang blade with a two-toned black and satin finish. 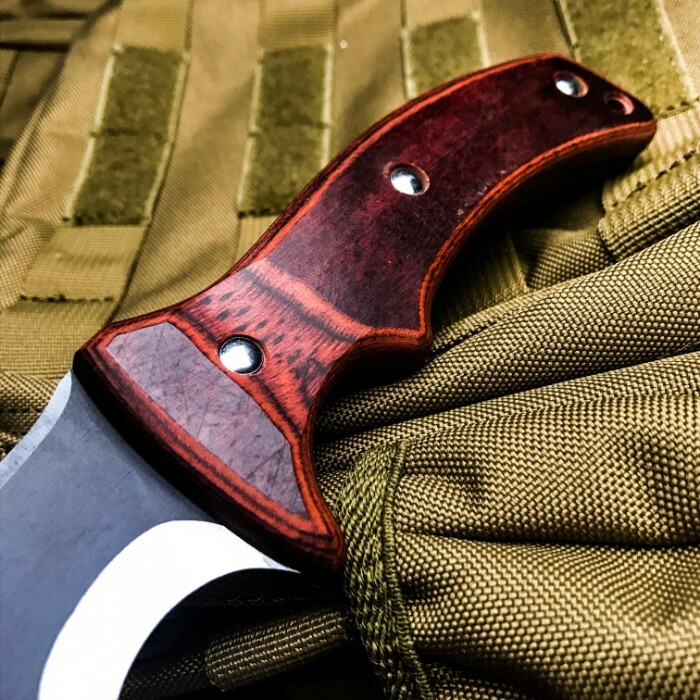 The pakkawood handle is secured to the tang by sturdy, stainless steel pins and it features a lanyard hole. 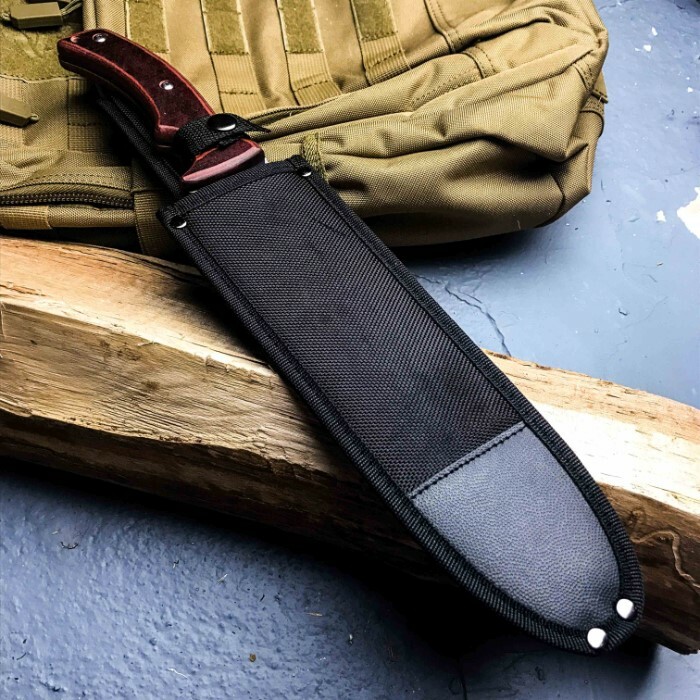 The fixed blade knife comes in a tough nylon belt sheath with a snap closure and is 15” in overall length.